​I use field observations and experiments combined with microbial sequencing and network and community analyses to understand the interactions between multiple communities of organisms. Broadly, I am interested in how the structure of interactions between two guilds (e.g. plants and insects) influences the community assembly and structure of a third interacting guild (e.g. bacteria and fungi), the mechanisms by which this occurs, and their ecological implications. ​With the help of four motivated undergraduates and many gracious entomologists, I have built a tripartite plant - flower visitor - floral microbe network. Data was collected from 20 co-flowering plant species over a short phenological timespan in a high elevation wet meadow located in Tahoe National Forest. Questions I am interested in answering with this dataset include: do plants occupy similar positions in both networks? Do plants with similar visitors have similar microbes? Which plants are hubs of floral microbe diversity? Can we determine whether dispersal (by visitors) or environmental filtering (by plant traits) is more important in structuring floral microbial communities? 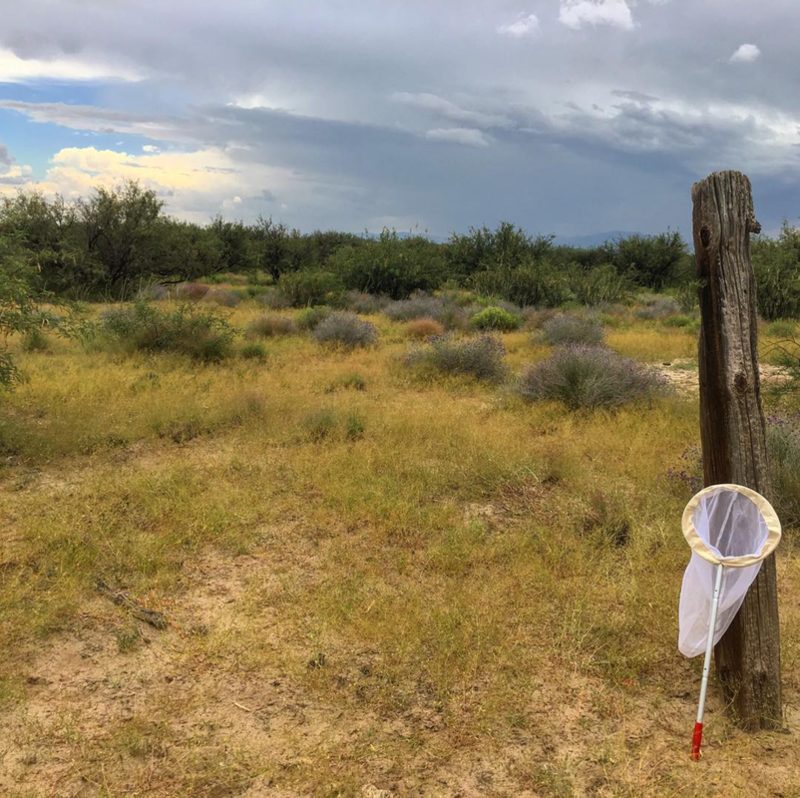 To understand how vector communities influence nectar microbe community assembly, I performed an experiment on western Columbine (Aquilegia formosa) that manipulated access by legitimate nectar feeders and nectar robbers to nectar. From the six treatments in this experiment (all visitor allowed, no visitors allowed, only robbers allowed, only legitimate visitors allowed, secondary robbers allowed, and a simulated robbing wound control), I am working to understand how the different visitor types influence nectar microbe communities at local (alpha diversity, species composition) and regional scales (beta diversity). For my post doc I will be studying the interactions between mites and leaf microbial communities, how they vary across related taxa, and their implications for pathogen resistance in collaboration with Marjorie Weber at MSU.